With two goals, Crystal Dunn lead her team to a 2-1-1 record before being named Player of the Month. 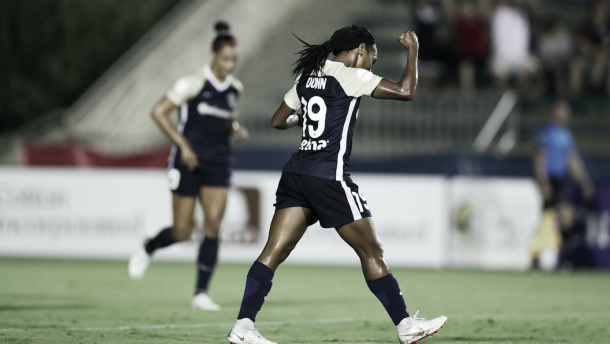 North Carolina Courage forward Crystal Dunn was named the NWSL Player of the Month by the NWSL Media Association for June. This marks Dunn’s second time being named POTM and first time since August 2015. Dunn has been one of North Carolina’s most valuable assets. In June alone, she scored two goals and created eight chances to help her first-place team earn seven points in four games played over the month. In June, she had 13 shots (nine on target) along with a defensive presence that saw her win six tackles and record six interceptions. 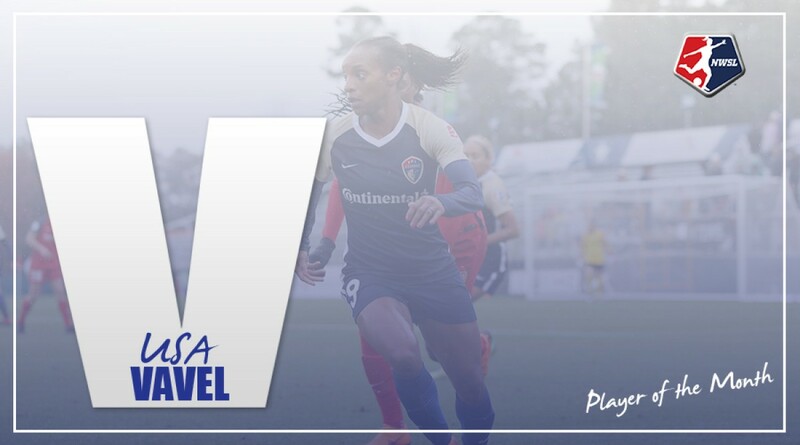 She was recently named Week 13 Player of the Week after her team defeated the Seattle Reign 4-1. Dunn had a brace in that match, scoring in the 33rd and 70th minutes to give her team the win. Dunn played for the Washington Spirit from 2014-2016, scoring in the 2016 NWSL Championship before her team ultimately lost on penalty kicks to the Western New York Flash who later became the Courage. She was named the 2015 NWSL MVP after winning the golden boot. She left the NWSL briefly and played in the FAWSL with Chelsea before heading back stateside after her rights were traded from Washington to North Carolina. She has helped her team maintain the lead at the top of the table for the entire season. They currently have 39 points and a 12-1-3 record and did not lose their first game until the month of June. If the season were to end today, she would end up second in the golden boot race for 2018. She currently has seven goals on the season, which is tied for the most with Portland Thorns forward Christine Sinclair but has one less assist than Sinclair at four.